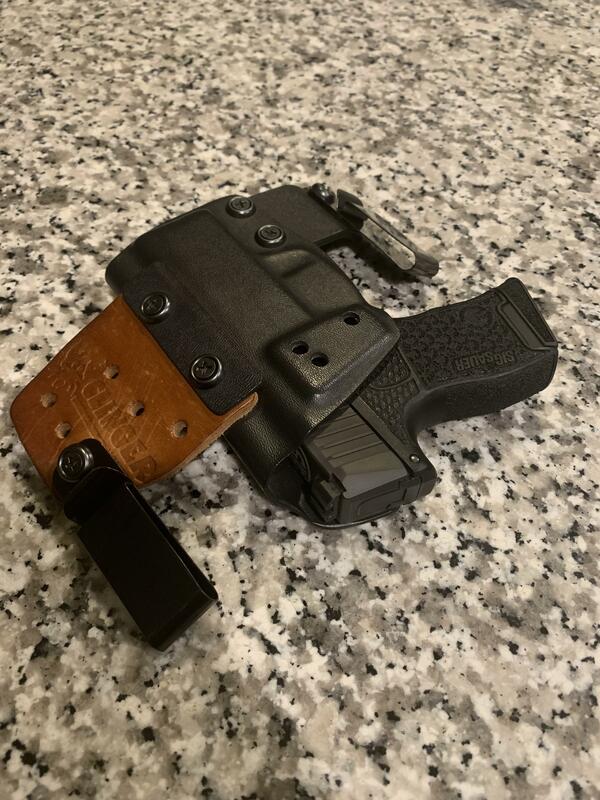 I ordered a couple kydex Stingray (AIWB) holsters from Clinger Holsters. 1 for my HK USPc9 and 1 for my HK P2Ksk. They arrived today. Very well made, excellent fit and retention. I highly recommend them and their product. Excellent Customer Service. Kept in touch with me during the whole process. That's crazy. I just ordered a holster from them through eBay and have sent 2 messages. They haven't replied ever and it's been a couple days. They in the hurricane zone? I truly don’t mean to be a Clinger basher here but I just ordered two Clinger IWB Stingray V3’s. One for my Walther PPS M1 and one for my p2000 HK. The fit and finish are NOT what I expected. The texture is extremely rough and I can not get either firearm to “click” into a retention position. I’ve adjusted the screws every which way and replaced the spacers to see if any work better. Nope. I can shove the gun in there and it will hold it in. But I can tell it’s rubbing the pistol in odd spots and again, no click. All my other Kydex holster seem to work perfectly. Any suggestions on what to do before I pack these suckers up and send them back?? My Clinger V3 Ultra Conceal arrived last week. It's great. Fits my P30LS V3 perfectly. It's OWB and conceals very well, especially for such a large pistol. I bought a Stingray almost 4 yrs ago for my VP9, it works great too. I did play around with the spacers and screws, and ended up putting it back the way it arrived. Both click in place just fine. They also kept in touch through email. They currently give you 2 weeks to return it for a refund. Best of luck. Update. Clinger Holster CS is great! They are taking care of me ASAP! I think I have one. Best I remember I was happy with it. I really like clinger holsters. I find the front leather piece helps conceal better than an all kydex holster.